When you see videos of the early developers of photography, it is pretty funny especially in light of photography today. In those old movies, to get a picture, the camera was as big as a computer is today. The photographer had to put his head under a sheet and hold up a huge tripod which exploded with smoke and fumes to make the flash. Today photography could not be more different. In the movies, we used to be astonished when spies had cameras in their watches or the soles of their shoes. But now it is common for almost everyone to have a camera in their phone and to be able to pull it out and snap a photo virtually anywhere. Let’s fill in a few gaps. We can go back to the origins of the language to find that the word photography began in the Greek times and it literally means drawing with light. But the actual science of photography did not really take off until the 1800ís in this country when a fellow by the name of John Hershel applied the words photography, positives and negatives to the task of producing pictures. We had negatives of our photos from then until the dawn of digital photography in the last few years. For most of us, though, the company Eastman Kodak is probably the one we associate most with the early developments of photography. And it was the early pioneer of photography, George Eastman that made the first advancements on the primitive methods being used until his work in 1839. A little trivia? Eastman made the name Kodak up because he wanted his company name to begin with a K.
The developments began to come along pretty routinely as photography began to mature and become more sophisticated. Color photography was developed in 1861 by a scientist named James Clark Maxwell. Up until then all photographs were black and white or monochrome. Color photography was a huge leap forward but it really did not start to move into the public arena until two brothers named Lumiere in 1907 invented the color plate. Over the decades to follow, photography moved forward steadily and moved out of the world of science and then journalism and into each of our homes. 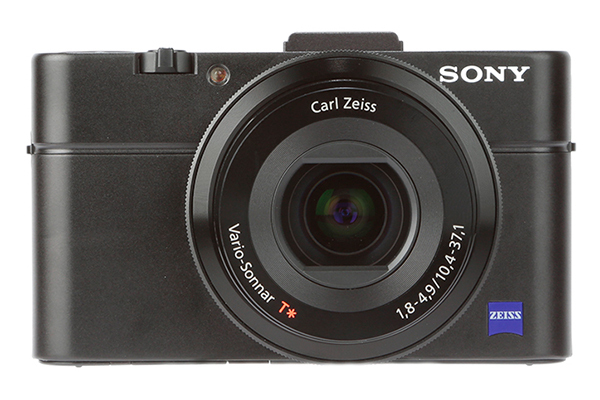 But the revolution that has turned photography into what we know it to be today occurred in 1981 when Sony invented the first camera that worked without film. The digital age was upon us. It was Kodak that again got the lead on the marketplace by getting the first digital camera out on the market in 1990 when they developed the Kodak DCS 100. As with all technology, early digital cameras were large (by today’s standards) and much more expensive than we are used to now. Innovation in the field of photography has continued to march almost as fast as people could keep up. When digital cameras were offered that gave us a port to be able to download them to our computers, the internet explosion of imagery was fueled. Further development coming virtually every year since 1990 included the rapid and phenomenal expansion of memory in digital cameras along with the concept of swappable storage drives. This changed the way people took pictures because now the number of pictures someone could take was virtually limitless. The expansion of memory also gave developers the ability to add video capture to the same devices as were used for photography so that virtually anyone could become a cameraman with that tiny camera that could by this time fit in their shirt pocket. Much of the fun of internet sites like YouTube can be attributed to the ability of the average citizen to take video anywhere, anytime and at no cost to them. The photography and video industry has had to do a lot of adjusting to learn how to service this market that was changing at speeds unimaginable by George Eastman a century before. The affordable availability of quality color printers that enabled people to print their photographs at home was a boon to the amateur camera buff but a blow to the photography industry. But to their credit, the industry has kept up. But we can be sure that the developments are just getting underway. Who knows what new technical wizardry is ahead for the photography world. It is sure to be a fun ride, no matter what the future holds. 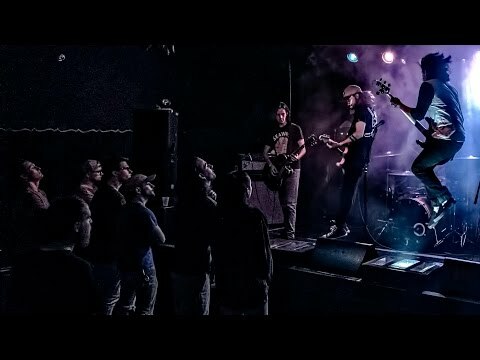 When photographing live performances in small venues where the lighting changes continuously, try using Manual Exposure and Auto ISO Sensitivity Control. Auto ISO Sensitivity Control allows the camera to adjust ISO sensitivity automatically if optimal exposure cannot be achieved at the value currently selected by the user. To use Auto ISO Sensitivity Control, go to the Photo shooting menu and select Auto ISO sensitivity control in ISO sensitivity settings. Highlight On and press Ok. Choose the maximum sensitivity. Let’s try ISO 12800. This lets the camera raise ISO sensitivity as high as 12800 if required. Next, adjust shutter speed and aperture. You’ll probably want to set shutter speed fast enough to help avoid motion blur. Here, we shot in Manual Exposure mode, at a shutter speed of 1/160 of a second and an aperture of F4. This feature, which takes advantage of the high ISO sensitivities offered by digital SLRs, will help you get shots that perfectly capture your creative intent. 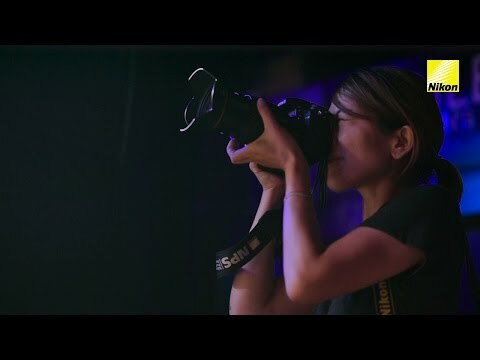 I get a lot of requests to talk about concert photography so I decided to find some existing video that has already been created on the subject. Anthony Morganti has made a three-part miniseries on concert photography. This is probably very personal and it’s different for just about everyone, I only could speak from my own perspective I’ve always been a lover of music and years ago when I was really starting out as a professional photographer I decided I wanted to be a concert photographer. I looked into all different ways to getting access to venues, when I figured out how it’s done and I actually got in, I was able to take pictures of a performer or a band and now I had these images what do you do with them? Well what’s the part what can you expect to gain from it? I’ll tell you right off the bat you’re probably not going to make a living at it, it’s not the type of photography usually that a photographer could make a living, yet there’s a few that do it. I mean it is possible but it’s very difficult and I would say don’t expect to make a lot of money from it, what you’ll find is that it might not even be worth the actual time that you spend doing it, you could make money doing other things in photography so to be a concert photographer it’s really about the love of the art the love of doing it you love the music you love taking the pictures and you love that type of photography. If that is you then you should be a concert photographer and try it out. How do you gain access to the venue’s? Well there’s three different ways to actually do it and this first way is fading out a little bit, meaning in the past I could contact a venue itself and I could say, you know that you have YouTube playing on this night I’d like a Press Pass to take pictures of the band, they could give you a press pass and they might ask you who you’re working for. That pass may give access to take pictures of the band usually for the first three songs. That way is drying up that’s because many bands now are very protective of their brand they brand their image and they don’t want somebody else giving a photographer access to take their pictures. They want to grant the permission, they don’t want the venue to do it so most national acts particularly world acts you’re not going to be able to do it that way. You might be able to do it for local bands in local venues, you may know a band coming through that’s not really a national band they just have maybe a local CD or EP out. You probably will be able to get in to take their picture and to tell you the truth most of those bands would be flattered that they have a photographer there to take their picture. So that is probably the only way you’d be able to do it with these smaller local bands. The second way is you could actually embed yourself with the band meaning you befriend a band and you become their photographer and they’re going out on tour and you’re going to take pictures of them when they’re eating dinner when they’re traveling on their tour bus or their tour van you’re going to take pictures of them when they’re just hanging out playing playing, you’re going to take pictures of them when they’re performing. You’re probably not going to be able to call up Bruce Springsteen and say; “I want to be a tour photographer for you” and he’s going to say “sure come on in”. No you’re going to have to start out small, you’re gonna have to start out with that local band. The ones who might have a local gig or they’re going on in this mini tour where they’re doing a few cities in their state or area, they’re going to be traveling in a van and you’re going to get to tag along with them and do these images you’re probably not going to get paid for. It’s a matter of fact you’re probably going to have to foot your own bill pay for your own meals and things like that, but the hope is that this band makes it big, you’re their buddy and you keep going on and you hopefully get employed by them eventually to become their official photographer. The third way is probably the most popular way, you contact a band that is going to be coming into your city to play a show, you usually would go through the website and you’d look for either the band management or their publicist and you would fire off an email to them. You would say that you’re requesting a press pass. Now the way to do it is you want to make the email short as possible because these people are busy. To tell you the truth you’re a necessary evil they don’t really don’t want to be bothered with, so try to be as professional, short and to the point in the email as possible, in the subject line put a press pass request, add the city so let’s say it’s Buffalo press pass request Buffalo New York and put the date of the show August 14 2016 that way the person that is reading it knows that you need a press pass and you might need it in two weeks or you might need it in three months. They know how urgent the email might be after that in the body of the email if you know the person’s name definitely use their name.